Our Austin Search Engine Optimization plans are designed for new and existing websites that are trying to gain ground in the competitive space on the search engine results pages. We use our 20 + years of experience and proven methodology to improve your site’s ranking for specific keyword search phrases in Google, Bing and Yahoo. Your website can be the single most effective marketing tool your company has – giving you direct access to new customers at a fraction of the cost of traditional advertising and marketing campaigns. However, even the best website design and marketing message is rendered ineffective if potential customers can’t find it. We work closely with you to understand your business needs and goals before establishing a strategy and the best marketing plan for you. To achieve your marketing goals, we employ only sound, proven, ethical SEO techniques and marketing strategies. We then follow our proven search engine marketing methodology. We also offer SEO plans for existing websites that once had good positioning in the search engines but have dropped out of the top organic search results. We can discover why you have dropped and provide a plan to get you back on track. To compliment your Search Engine Optimization effort, we highly recommend our Search Engine Marketing, Local Search and Social marketing plans. The combination of these plans give you maximum online coverage and can provide immediate traffic to your site once implemented. 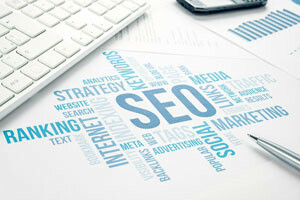 All of our SEO marketing and SEO consulting plans are small business affordable. In fact, we love helping you compete with the big players. Our online marketing service is one of the most affordable advertising investments any company can make. Let us put our 20 + years of experience in optimizing and marketing websites to work for you. Contact us for a free, professional search engine optimization and marketing consultation. Ready for Traffic? Let’s talk about SEO! “After building our own website we thought we did everything right and were excited to see the results. Well, after months of crickets chirping and very minimal web site traffic, we decided to get serious and call AWSP. After spending several hours getting to know our company and industry, AWSP rebuilt our site from the ground up and provided us with a great looking but more importantly, highly efficient and searchable website. They implemented their search engine optimization and marketing plan and started to see high Google search rankings, higher website traffic and most importantly new business directly contributed from AWSP’s work. “I have hired Keith Hickman, owner of Advanced Web Site Publishing, to optimize a retail website (thecasketplace.com) with outstanding organic placement rankings results on Google. I have since hired Keith again to work on another project where he has begun the work of optimizing and configuring the site for maximum organic search placement and consumer appeal. The type of work Keith does is behind the scenes and requires confidence on the part of you, the client, to trust, be patient, and have confidence that an investment in Keith will pay off. In today’s world of fast talking IT sales pitches, and undelivered results, Keith is a rare departure and for me has been true to his word on every representation he has made. I have not been paid to render this endorsement. Note: This is an excerpt of the full testimonial. Why Are Google Search Results Different? https://www.awsp.com/wp-content/uploads/2016/05/searchengineasphalt1.jpg 321 825 Keith Hickman https://www.awsp.com/wp-content/uploads/2016/02/awsp-logo3-300x82.png Keith Hickman2016-05-04 22:48:232016-05-14 17:25:59Why Are Google Search Results Different?